Kevin McCarthy (February 15, 1914 – September 11, 2010) was an American stage, film, and television actor who gave over two hundred television and film performances. He is best remembered for portraying the male lead in the horror science fiction film Invasion of the Body Snatchers (1956). 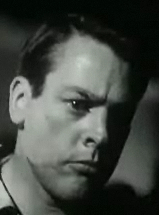 Following several television guest roles, McCarthy gave his first credited film performance in Death of a Salesman (1951), portraying Biff Loman to Frederic March's Willy Loman. The role earned him a Golden Globe Award and an Academy Award nomination. McCarthy was born in Seattle, Washington, the son of Roy Winfield McCarthy and Martha Therese (née Preston). McCarthy's father was descended from a wealthy Irish American family based in Minnesota. His mother was born in Washington state to a Protestant father and a nonobservant Jewish mother; she converted to Catholicism before her marriage. He was the brother of author Mary McCarthy, and a distant cousin of U.S. senator and presidential candidate Eugene McCarthy of Minnesota. His parents both died in the 1918 flu pandemic, and the four children went to live with relatives in Minneapolis. After five years of near-Dickensian mistreatment, described in Mary McCarthy's memoirs, the children were separated: Mary moved in with their maternal grandparents, and Kevin and his younger brothers were cared for by relatives in Minneapolis. McCarthy graduated in 1932 from Campion High School in Prairie du Chien, Wisconsin, then attended the University of Minnesota, where he appeared in his first play Henry IV, Part 1, and discovered a love of acting.